face-to-face with a tutor, using Skype! We offer completely customised online guitar lessons at beginner, intermediate and advanced levels. We know that every person has different tastes and needs, that’s why we take time to get to know exactly what you would like to learn and put together a structured and efficient yet fun lesson plan, especially for you. If you are a complete beginner and have no idea what you might like to learn we have a great course to get you started. You will start by learning a few basics, such as how to tune the guitar and your first few chords. From there, you will learn how to join chords together in a smooth and fluent way and begin to add different rhythms patterns (strumming) to your playing. You will also be encouraged to start creating your own chord progressions, so that from very early on you can begin to write your own music. One of the most important and fun aspects of playing, is to learn to play lots of songs, especially songs of artists and bands that you like. For those of you who don’t know exactly what you would like to learn, we will pick songs that will cover the most important aspects of starting out on guitar. As you begin to explore the world of music you can request songs you would like to learn. As you start to advance your playing you will be gradually introduced to different aspects of guitar playing such as music theory, scales, improvisation, finger style and harmony and learn how to use these things functionally. Before you know it you will be playing music that you never imagined was possible. Click/tap here for Sophie’s review in full. 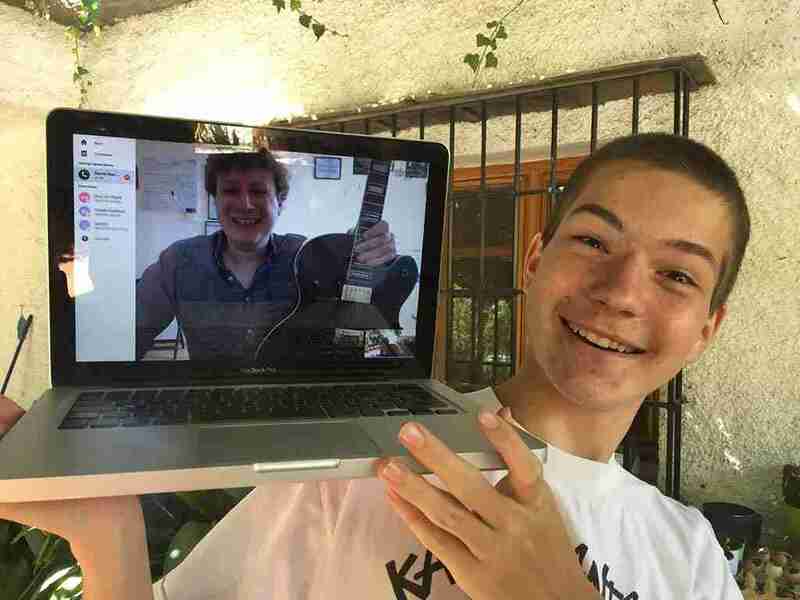 I recently started taking online guitar lessons at Music Lessons Anywhere, over Skype. I was a complete beginner so we started with the basics, tuning and posture, and quickly moved on to chords and some fun scales, extra techniques and arrangements to try out. I found the instruction super clear. 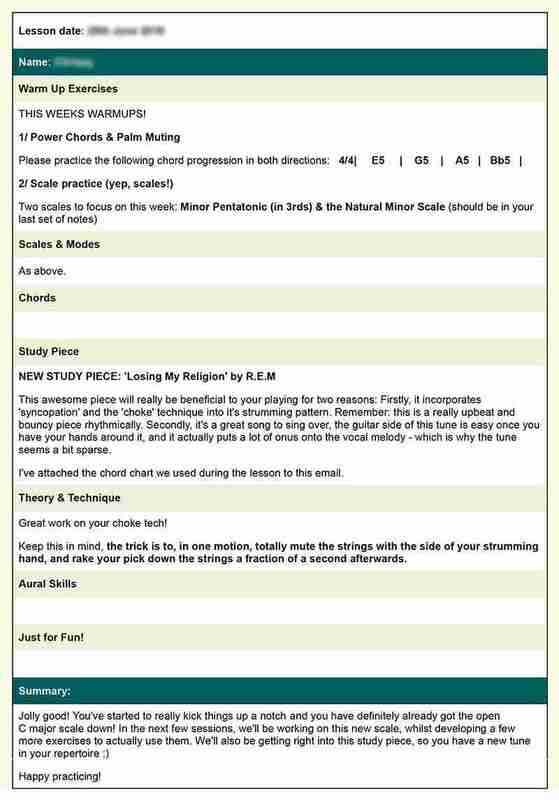 After each lesson, the feedback email and lesson summaries have been easy to read and with extra simple exercises to add fun to my practising between lessons. Before playing either piano or guitar I was under the false belief that it would be very difficult to learn an instrument, as I had not been very musical in my youth. So if you have ever wanted to play guitar or piano from the comfort of your home then I would personally recommend Music Lessons Anywhere online guitar lessons and Tracy’s online piano lessons at Music Lessons Anywhere. For those of you who have already played guitar for a while, the chances are you will have an idea of how you would like to improve. 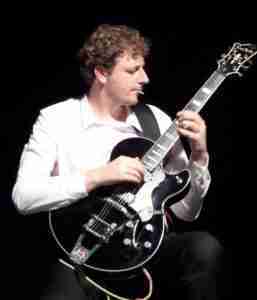 To get started you can meet David, our online guitar tutor, for a free lesson (for around 30 minuets). The price of our Online Guitar Lessons for individual students (live one-to-one tuition) is £30 per hour. Half hour or 45 minute lessons are also available. After you submit your enquiry for a free trial online guitar lesson, Tracy will get back to you by email to arrange a time to meet for a chat over Skype, answer any questions and to arrange your free trial guitar lesson. We can also teach groups of two or more students online, together in the same location, or together from different locations. Costs for online guitar lessons for groups can be shared amongst students taking the same lesson. The cost for group lessons is £40 for an hour shared by two students or £50 for an hour shared by 3 to 5 students (maximum 5 students to a group lesson). 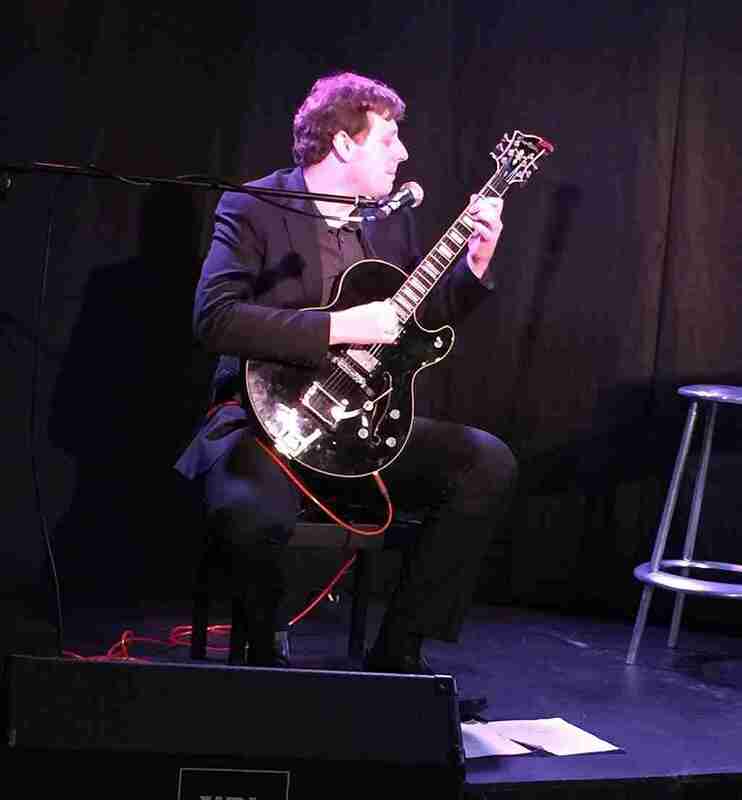 Skype guitar teacher, David MacGregor, is a seasoned professional touring musician, who has had over 15 years of experience working in the Music Industry. David can give great advice on working in the music industry. 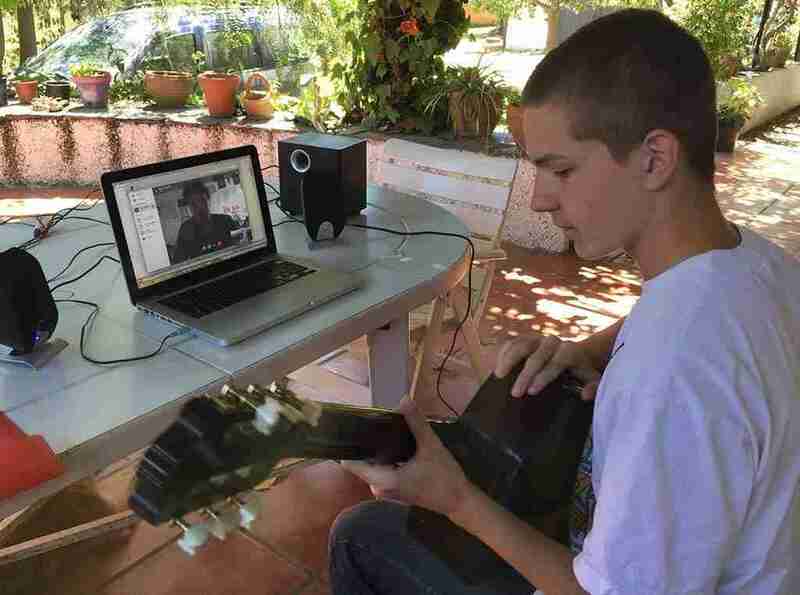 Our live online guitar lessons make learning to play fun!